Looking for a serene quiet setting on the waterfront? Large renovated 1 bed & den (open) sits steps from Seawall, Granville Island, Marina,shopping & transit. This charmer boasts 893 sq ft w/ oak hardwood floors, new stainless steel appl., new counters & cupboards, new full size washer/dryer, new bathroom, walk in closet, in-suite storage, and a balcony to enjoy the marina and city view! 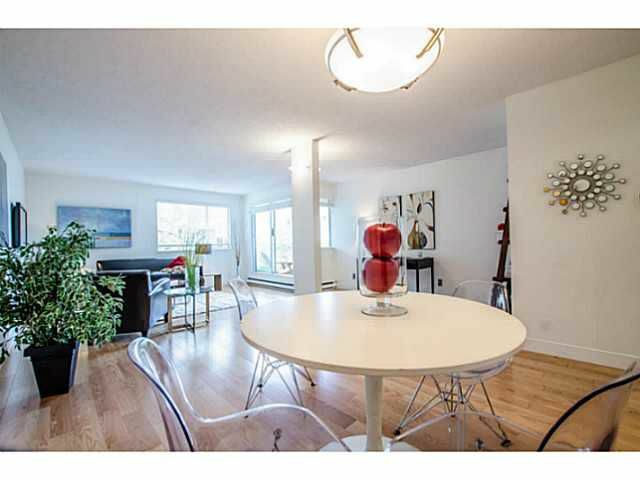 Perfect for 1st time home-buyers, investors, empty nesters and a perfect pied a terre! Well maintained- fully rain-screened, new roof & new plumbing. 1 u/g prkg & rentals & pets allowed. Waterfront living at it's finest. Priced to sell at over 30K below assessment. Ask me about the COV pre-paid leasehold till 2046.